In the past several days, sound and fury again erupted in Geneva, with allegations of hypocrisy leveled against the United Nations Human Rights Council (UNHRC). In testimony before the Council, Thor Halvorssen argued that allowing Venezuela and other bad guys seats on the Council prevents it from promoting human rights. I agree that states with egregious human rights records should not be elected to the Council and I have campaigned with others (successfully) to deny seats to states like Belarus, Sri Lanka, Azerbaijan and Iran. But Halvorssen and other like-minded critics miss an essential point: Governments care enough about their public image to take corrective action when the Council shines a global spotlight on their rights violations. Despite its flaws, the Council gives advocates a chance to bring violators to the court of world opinion, and, in many cases, creates leverage that makes a difference for victims on the ground. Governments willing to reform use the U.N.'s scrutiny and assistance to improve their human rights records, while those against change are exposed as emperors with no clothes. To ensure this dynamic continues, the United States and other democracies must remain fully engaged. Since the U.N. created a special political body to promote and protect the principles established in the Universal Declaration of Human Rights in 1946, a remarkable beehive of activity has grown around it. Twenty international human rights treaties have been adopted governing a wide range of rights, including most recently for the disabled. The High Commissioner for Human Rights and her staff of over 900 personnel monitor rights and assist governments and victims across the globe. A peer review system, established in 2006 with the creation of the more elevated Human Rights Council, ensures that all 193 member states take public account of their performance. Civil society organizations, academic experts and the media use this platform to contribute evidence, ideas and visibility to our incessant global clamoring for more and better defense of human rights. This challenge is met in large part by the U.N.'s system of independent human rights experts and special rapporteurs assigned by governments to gather facts, identify problems and make recommendations for addressing them. First created in 1967 to monitor the situation in southern Africa, the system of independent experts has mushroomed to cover over 40 themes from violence against women to freedom of expression; an additional ten experts are mandated to cover specific countries like North Korea, Iran and Sudan. The unique combination of independent expertise deployed under the banner of the U.N.'s blue flag makes them the Council's most effective tool for catalyzing change at the local level. • Shortly after a special rapporteur visited a prisoner accused of "counterrevolution" in China, his sentence was reduced. • When a special rapporteur revealed that security forces were involved in violations against internally displaced persons in the Central African Republic, the government removed the personnel in question from the camps. • Laws criminalizing defamation in Cambodia and the Maldives and blasphemy in the United Kingdom were repealed in response to direct appeals by special rapporteurs. • The highest authorities in Jordan issued clear instructions to end torture and abuse of prisoners and increase penalties for violations on the recommendation of a special rapporteur. • Lawyers for a political activist in Vietnam won a case before the U.N. working group on arbitrary detention, adding greater legitimacy to their claim and eventually leading to the prisoner's release. • In response to an urgent appeal by a special rapporteur, a plane carrying a detainee at risk of execution in his country of origin was stopped on the tarmac in Australia and his deportation was reversed. These, and hundreds of other documented examples, are the unheralded achievements of a U.N. human rights body that is too quickly dismissed as useless because a majority of the U.N.'s members have elected a minority of authoritarian regimes to the chamber. Spoilers on the Council undoubtedly do the system harm when they harass independent experts and NGOs, or defend egregious human rights abusers. The Council's failure to remove the bias created by its standing item on Israel's occupation of Palestine is particularly damaging. Myopic focus on these shortcomings, however, is a disservice to those victims and defenders who benefit from the Council's lifesaving tools. The remedy to the body's deficits must not be to throw our hands up and walk away, as the Bush administration did, but to strengthen the tools that are proven effective. The only real solution is to roll up our sleeves and get to work. That is precisely what the Obama administration has done since it took up a seat on the Council in 2009, forging coalitions with a range of democracies to create new mandates to monitor Syria, Iran and Cote d'Ivoire as well as on freedom of association and discrimination against women. Its leadership and record of success prove that smart strategy and deft execution can make a difference, not only in Geneva but, more importantly, for human rights defenders on the frontlines. 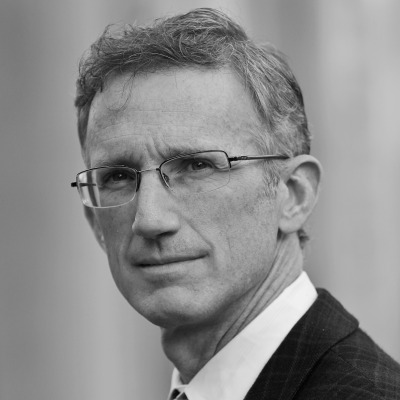 Ted Piccone, a senior fellow and deputy director for Foreign Policy at Brookings, is the author of Catalysts for Change: How the UN's Independent Experts Promote Human Rights.